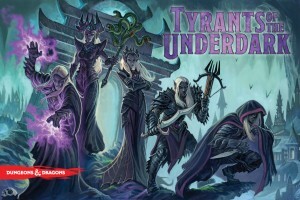 At its core, Tyrants of the Underdark seems to be a territory control game with deck-building elements mixed in. I like both of those gameplay aspects so it’s got my attention so far. In this article on Dragon Magazine, one of the game’s designers, Peter Lee, talks about the general concepts for the game. More details for the game are sure to be announced soon, as it is due for release on the 16th May. Will keep people updated, as at the moment it sounds like something I’d be interested in.